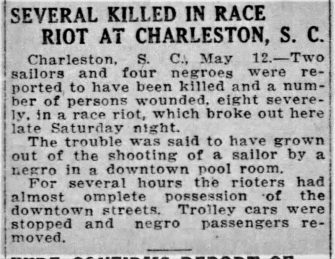 “Several Killed in Race Riot at Charleston, S.C.” article in the El Paso Herald, May 12, 1919. Source: Visualizingredsummer.org. 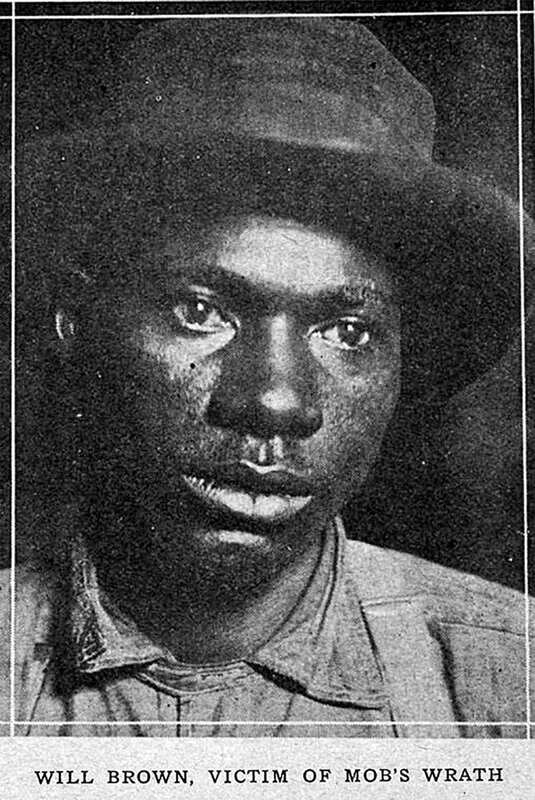 White sailors ignited violent rioting in Charleston, South Carolina, on May 10, 1919. 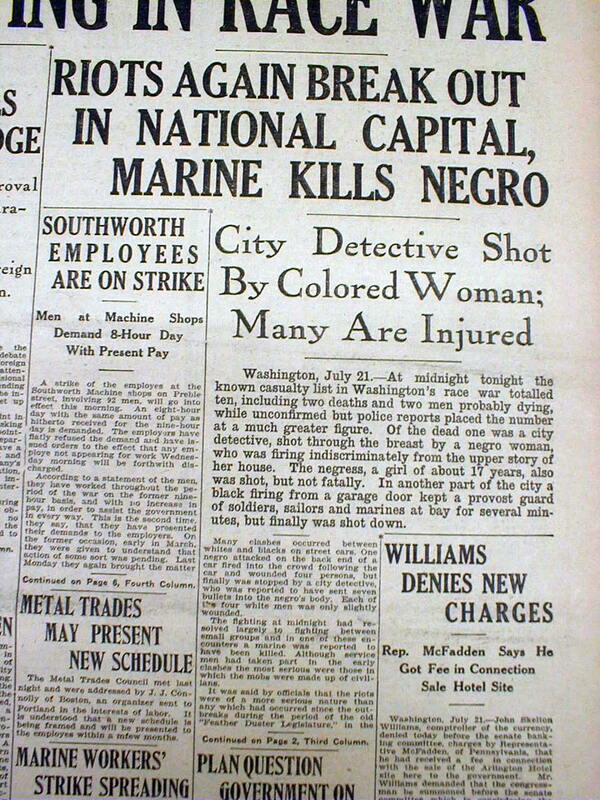 Reports from the night pin-point a few events that helped spark the city-wide terror: One group of white sailors ran down a Black man who had not stepped off the sidewalk for them. 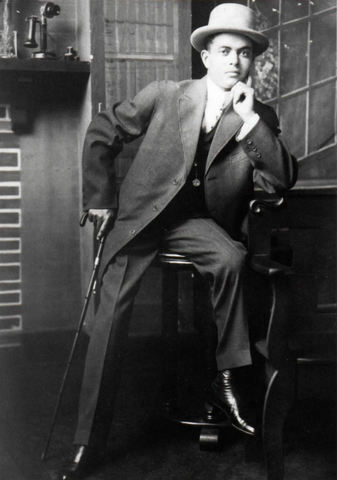 Another group killed a Black man at a pool hall after a bootlegger reportedly took their cash but did not return with the promised alcohol. 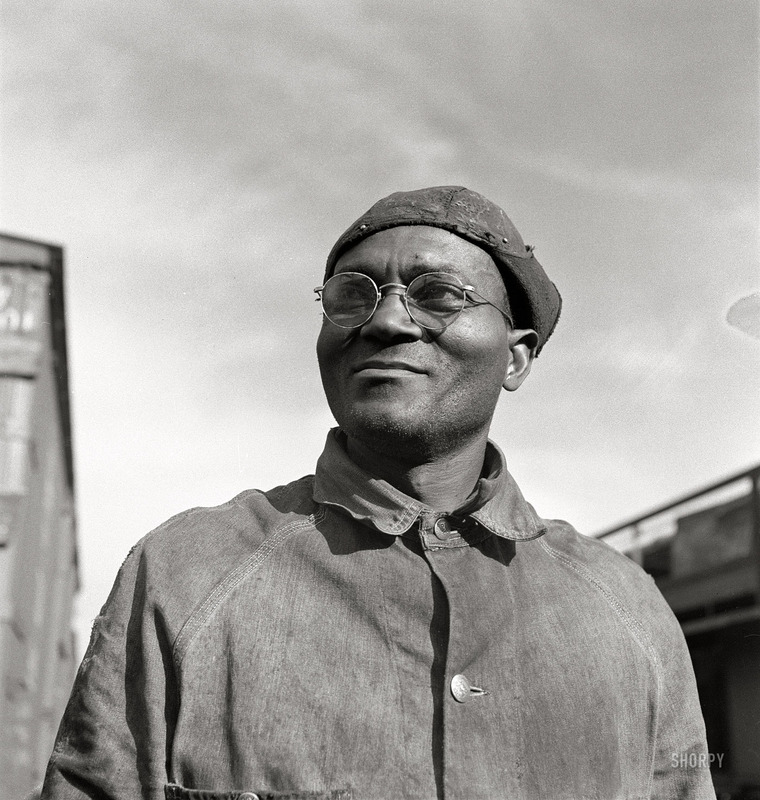 When rumors of these incidents reached the Charleston Navy Yard, hundreds of white sailors flooded into Black Charleston to wreak havoc. Yet many Black people did not stay indoors. 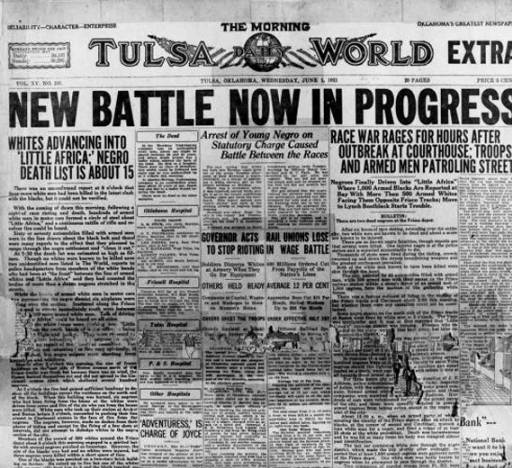 In fact, many fought back. Some armed themselves. 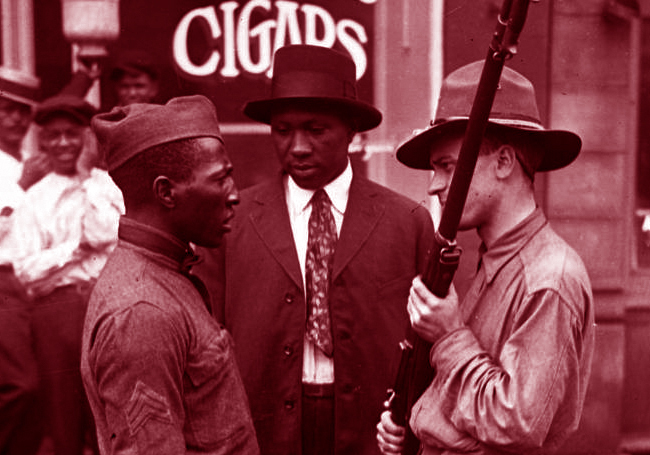 For details about the harrowing spring night, visit the Black Past website or read the 2018 article published by the Charleston Chronicle. Book – Non-fiction. By Blair L.M. Kelley. 2010. 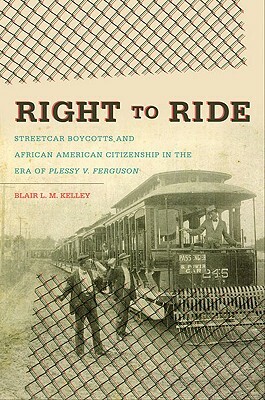 Examines acts of protest and resistance to segregated trains and streetcars during the early Jim Crow era. 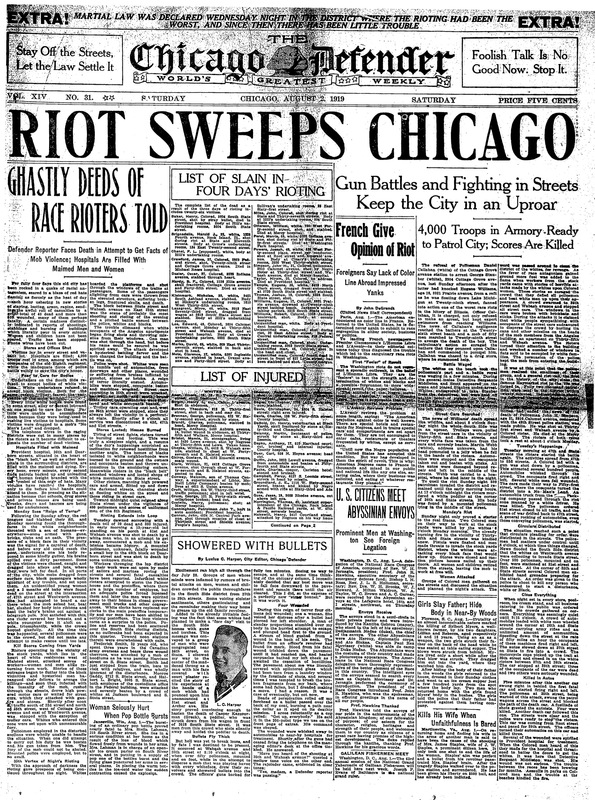 The rioting lasted almost a whole week. 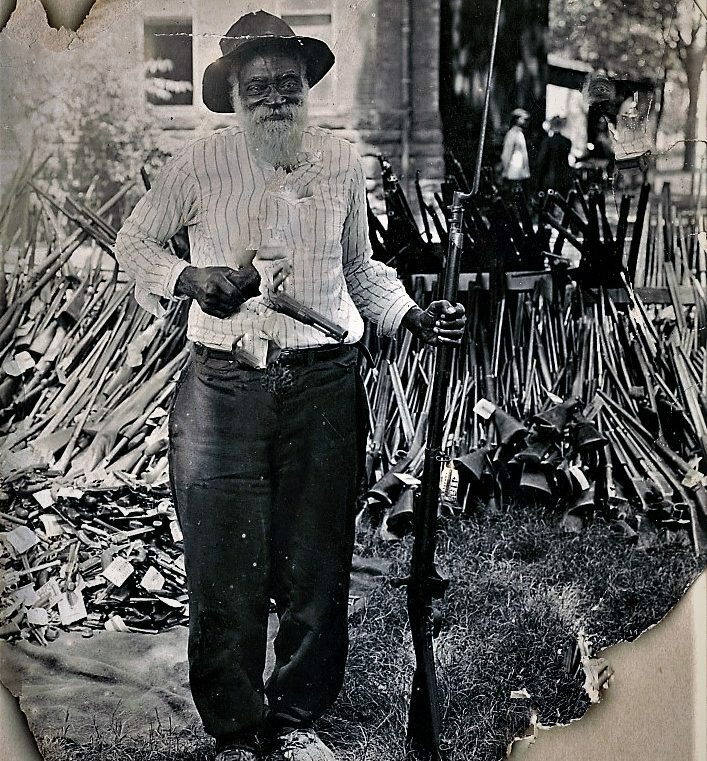 By the end of the first week of August, at least 38 people were dead and thousands of Black homes were looted and damaged.